Scott has made a career in Insurance and Financial Services since 1998, including over 8 years spent in a variety of senior roles within one of the UK’s top Building Societies. Since joining the practice in 2009 Scott has advised many personal and corporate clients in the advice areas he specialises in – Mortgages and Insurance; as well as referring those clients with Pension or more complex Investment needs to his colleagues within the practice that advise in these areas. Scott appeared in the VouchedFor list of Top Rated Advisers for 2019 in association with the The Times. 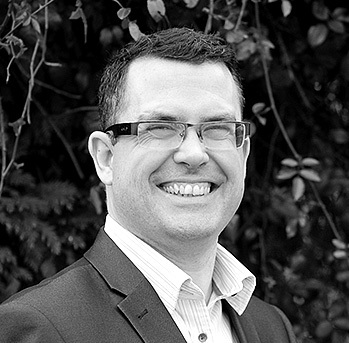 In addition to helping his own clients Scott works with our professional partners at Nock Deighton Estate Agents and has delivered presentations to various affinity groups and business clubs on subjects such as mortgages and the use of Trusts within life insurance planning. He has also had articles published in various trade publications. Scott has a special interest in providing mortgage and insurance advice to Barristers, the Judiciary, Solicitors and other associated legal services (e.g. Clerks and Paralegals). Operating across wide geographical area Scott is able to offer face-to-face meetings with new and existing clients throughout Shropshire, Worcestershire, Birmingham, Coventry, Leicestershire, Nottinghamshire, Derbyshire and Central London.